Renée Elliott has been committed to wellness for 30 years. In 1995, she founded Planet Organic, the UK’s first organic supermarket. 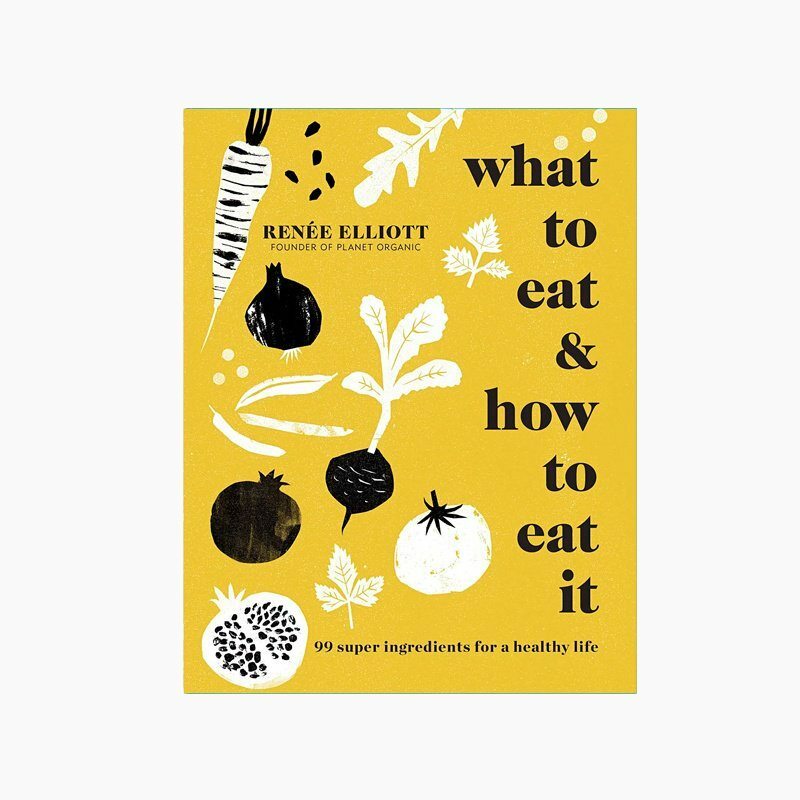 Renée’s new book details why foods are good for you and, most importantly, how you should prepare/eat them for maximum nutritional value. Eating well isn’t about superfoods; it is about great every day foods. The book details 99 ingredients, from baobab to barley to broccoli and beyond and is a guide to incorporating the most nutritional foods into everyday meals. Each spread covers ‘Benefits’, a list of ‘Ways to Eat it'(there are 12 ways to eat more beetroot! ),’How to Use it’ and at least one recipe. With over 120 easy, delicious and nutritious recipes, this is an invaluable guide for anyone who wants to eat well and live better. With her mission to promote health in the community, Renée set out to change food culture. For charitable work, Renée served as a Trustee of the Soil Association from 1999-2014, fighting genetically modified organisms and raising awareness about organic food. She is now on the Soil Association’s Catering Mark Standards Committee, promoting healthier menus in schools, universities, hospitals, care homes and caterers. A health and well-being expert, Renée works part-time at Planet Organic, frequently lectures to budding entrepreneurs and is a full-on mother to her three children. In everything that she does, Renée challenges convention to improve life.